I may not have amassed a collection of shiny trinkets at the level of Smaug’s but I do love my foils. I think most Magic players have some sort of affinity for foils, or at least a good portion of those I am personally acquainted with. Besides the fact that foils exact a higher collectibility and price, we humans seem to be attracted to shimmery objects and there is a whole industry dedicated to purveying shiny rocks and metals. Well, at least Magic players know their shiny trinkets could provide more value beyond being aesthetically pleasing; you can’t tap a gold ring for mana or use it as your Commander. I wrote an article about the shifting paradigm for speculating Modern cards two weeks ago and a few readers asked about the security of Modern foils as an investment with Modern staples being reprinted across a wide array of Magic products from Thoughtseize and Chord of Calling in normal sets, Remand and Wurmcoil Engine in supplementary products and Modern Masters is now an annual or biannual phenomenon. Every expensive card that is a staple in the format is at risk of reprint. Investing in foils is a way to hedge your bets against reprints. Compared with non-foil copies of a card, foil copies suffer a smaller price drop when the card is reprinted. 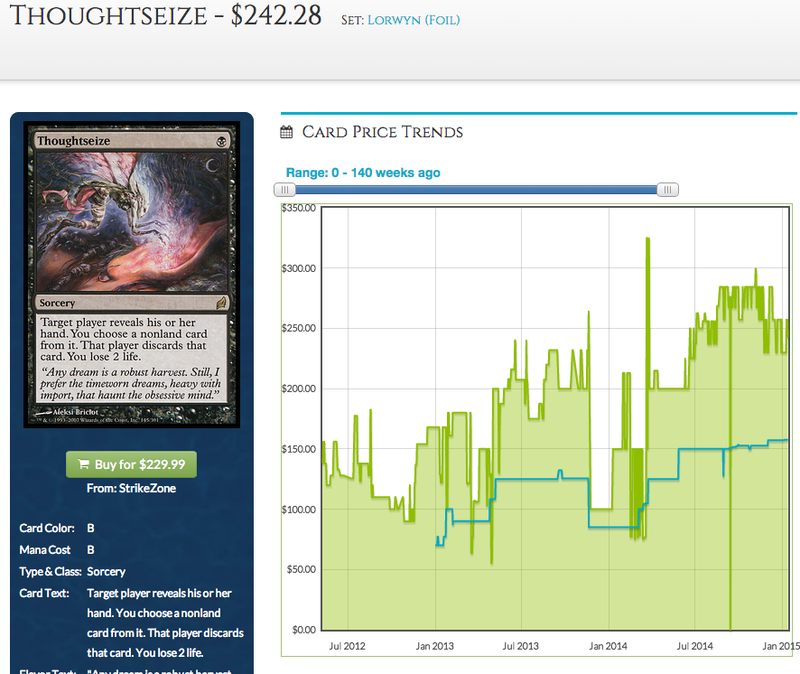 Lorwyn Thoughtseize was trending at $60 – $70 prior to being reprinted in Theros. You can buy one today at $35 a piece, even though the Theros reprint featured a different art. Foil copies of Lorwyn Thoughtseize took a hit from $200 to $175 when Theros reprints came out, and a further drop down to $100 last November, presumably due to the increased supply of foil Thoughtseizes in the market from foil redemptions (Magic Online redemption is available a month after a set is released on Magic Online). However as of writing, a little more than a year after Thoughtseize was reprinted, a foil Lorwyn Thoughtseize now commands a hefty price tag of $240, higher than its pre-reprint price. Normal versions of Ravnica Chord of Calling lost nearly five times its value from $40 to $9, whereas foil copies barely budged in price. Even foil Ravnica Lighting Helix which took a price dip when it was reprinted in Modern Masters back in 2013, rallied up to a price higher than its pre-Modern Masters price. Speaking of Modern Masters, foil Morningtide Vendilion Clique and foil Ravnica Dark Confidant followed the same trend when they were reprinted in Modern Masters. Though those cards were not the ideal comparison for the fact that they were reprinted as a mythic in a limited print run product, they illustrate the price durability of foil Modern staples. The risk of reprint is further mitigated by the fact that supplementary products rarely contain foils. When Wurmcoil Engine was reprinted in Commander 2014, the non-foil Scars of Mirrodin version lost around 50% of its value, dipping from $26 – $30 to $13 – $15. Foil Wurmcoil Engine only suffered a 25% loss in value, probably due to the fact that there were no foils in Commander 2014. Compare the price trajectory between the non-foil version and the foil version; there was barely a drop in price for the foil version when Jace vs Vraska injected new copies of Remand into the market in March 2014. Killing Delver of Secrets, Young Pyromancers and the occasional opponent since October 2014. While a profit margin exists for speccing on commons and uncommons, its not as lucrative as speccing on mythics. Common and uncommon speculation is a low risk speculation; you do not put in much and do not win or lose much. Think of speccing on foil playable commons and uncommons as speccing on playable mythics. There is a higher entry price, but you stand to make more. Hopefully by this part of the article, I have convinced you that foils are better investments than those plebeian non-foils. However, we all know that foils are more expensive than non-foils. I am in the midst of a multi-year journey to foil out my Modern and Commander decks and there are a few financial pointers I’ve picked along the way which may be of use to other collectors/players/dragons seeking to foil out their decks without breaking their bank account or just acquire foils for investment at a low enough price to see a profit. I know, it sounds like a protip. But it is one of those tips that are easier said than done. How many people got their foil Forked Bolts or foil Gitaxian Probes before those cards spiked? I know I did not. Signals were present prior to those cards spiking: Gitaxian Probe was a small-third-set card that was present as a playset across multiple archetypes in Modern and Legacy, but its foils were still selling for single digits up till March 2014. 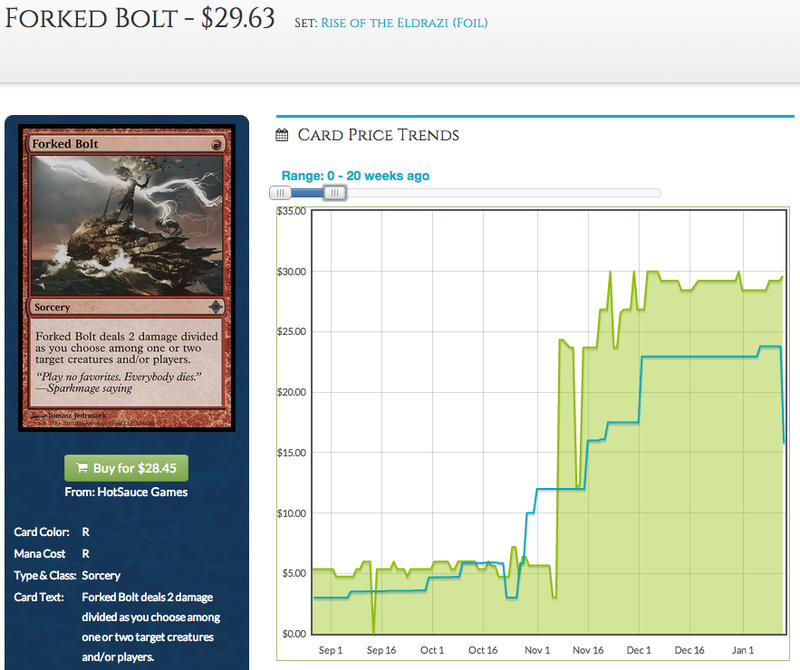 Forked Bolt was a UR Delver staple on Magic Online prior to its spike. Another common foil, Delver of Secrets dropped to $2 when Innistrad rotated, even though RUG Delver was already an established tier one Legacy deck. Get in on foil common and uncommon staples in Modern and Legacy while they are still hovering around the middle of the single digit price zone, and if they are not at a risk of reprint in the short run. 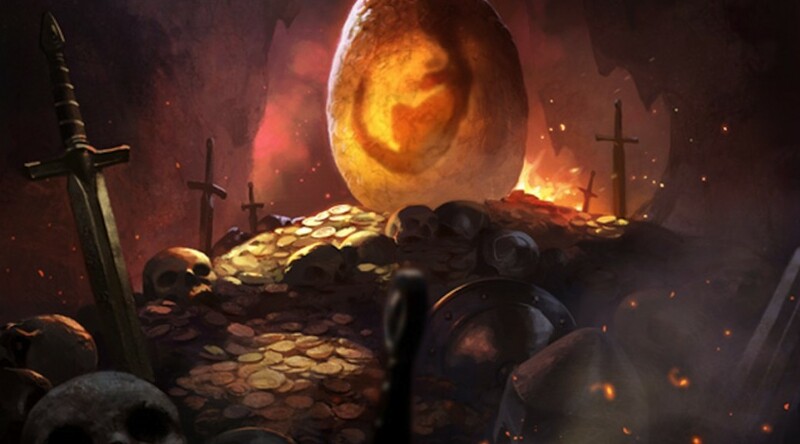 Mutagenic Growth is seeing play in Modern beyond Infect thanks to Shahar Shenhar’s Burn at the 2014 World Championship which ran four copies of Mutagenic Growth. While foil Mutagenic Growth is hovering at $5, I am not not inclined to buy it with Modern Masters 2015 around the corner. Foil Lingering Souls, on other other hand, seems like a good buy at $6 each, especially the FNM version which is going for just $2.43. Getting into foils when they are cheap is not as easy as it sounds for the fact that most foil Modern and Legacy staples are already expensive. It feels counterintuitive to buy foil Abrupt Decay at $25 back in early 2013 as it was a card from a large set that was still being opened, or at $35 when it rotated out of Standard in the fall of 2014. Those were probably the best time to get your foil Abrupt Decays; today you would need to fog up $75 for one. The only reason I have foil Steam Vents in my Modern decks is my decision in the middle of March 2014 to finally buy my playset of foil Steam Vents at $25 after weeks of deliberation. $25 for a foil rare from a large, bestselling fall set (every fall set seems to set new sales record these days) felt steep when I hovered over the confirm payment button. 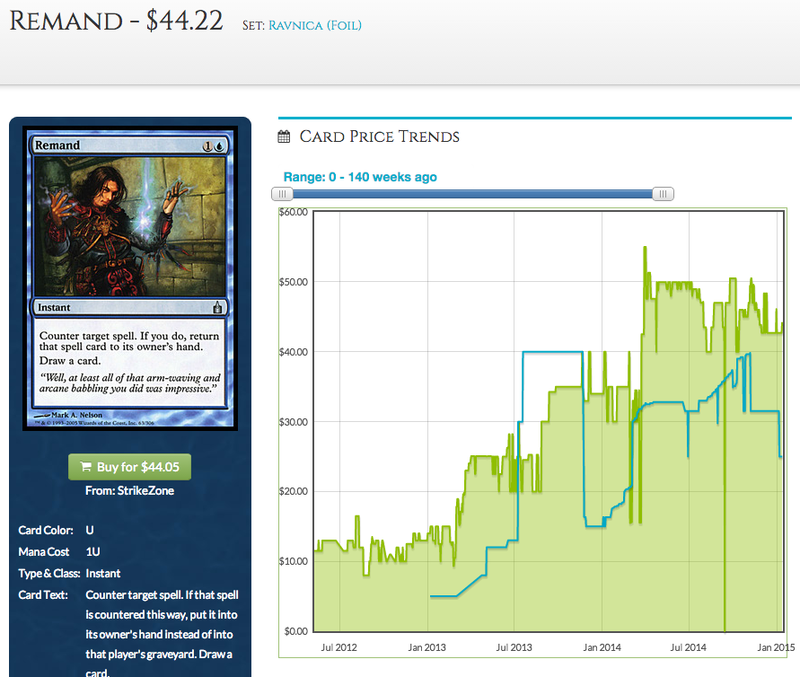 Two weeks later foil Steam Vents spiked to $45 – $50. Apparently, I bought one of the last playsets of foils Steam Vents that were available at $25 apiece. That anecdote is not a humblebrag; it encapsulates a dilemma in finding the optimal time to pick up foil Modern or Legacy staples. There is always a lingering doubt if the price of a foil staple is already at its peak when its price is so high. The key is to override that doubt with good reasoning backed by solid data. Abrupt Decay was played as multiples in a multitude of tier one archetypes in Modern and Legacy. Was $20 – $25 an appropriate price to pay for a top-notch eternal staple? Steam Vents was the most-played shockland in Modern and third most ubiquitous card in Modern when I bought foil copies of it at $25 (it is now the most-played land and second most-ubiquitous card in Modern). Evaluate the price of Modern and Legacy foils proportional to the amount of play they are seeing. I bought my foil Delvers at $2 when Innistrad was still legal with the reasoning that there was no way a Legacy staple with Modern potential (back then Modern Delver had no boats to ride to valueland) could be below $5. I agree with Cliff Daigle in his article last December where he mentioned that now is an excellent time to pick up foil Khans of Tarkir fetchlands. If foil copies of shocklands, which only is played one or two (at most three) copies in Modern decks (or as a poor Commander player’s duals) could fetch up to $40 – $50 apiece, is it possible that fetchlands, which are played three to four copies in every single format they are legal in are worth just $50? Is $85 – $90 too much for the blue ones when a foil Scalding Tarn is $182? If you are looking to assemble your foil playset of the Khans of Tarkir fetches, now is a good time to start. However, if you are unwilling to pay so much for your Khans of Tarkir fetches, there is a way to get around it. Perfectly legal, I assure you. Yes, Magic Online is still bad. It still have a UX that harks back to the early 2000s. Besides being the sole place where you can get in as many reps on your deck as with bench-pressing at the gym (no way I can get 50 reps on my Jeskai Tokens playing four-round FNMs once per week) and where you can draft without wearing pants, Magic Online is useful to get foils on the cheap via redemption. Magic Online allows you to manifest the intangible, digital cards you own into physical cardboard by putting in a redemption order when you have one of every card in the set you are redeeming. Basically if I have a non-foil copy of every 284 cards in Khans of Tarkir (284 is 269 plus fifteen basic lands as each version of the basic lands counts as a different card) and I purchase a normal Khans of Tarkir Redemption Request at the Magic Online Store, during the next downtime the 284 cards will be removed from my Magic Online account and physical copies of those cards will be sent to me. Pretty nifty isn’t it? Redemption is available for both non-foils and foils. If I have a foil copy of each Khans of Tarkir card on Magic Online, I could purchase a Premium Khans of Tarkir Redemption Request, have those cards removed from my Magic Online account and a bunch of shiny Khans of Tarkir singletons delivered to my doorstep. The handling and shipping costs are set in stone, so the only variable is the total value of the set on Magic Online. There are plenty of reliable bot chains to buy singles from on Magic Online, but the one I use the most is GoatBots as they have one of the most user-friendly website to check prices, good availability and very competitive pricing. As of writing, GoatBots is selling a foil set of Khans of Tarkir mythics and rares for $341. 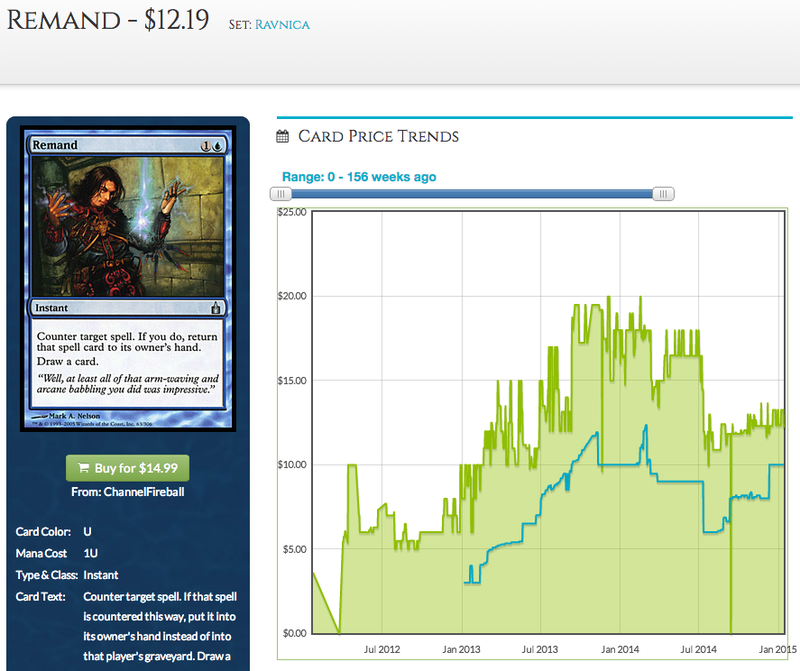 The price of foil commons, uncommons and basic lands fluctuates, but they usually cost around $90 in total. That makes it $431 to assemble a foil set of Khans of Tarkir on Magic Online. Let’s compare the cost of redeeming a foil set of Khans of Tarkir with the cost to assemble a foil set of Khans of Tarkir in real life. MTGPrice.com has a useful Browse Sets feature (shameless plug) to view the price of all the cards in a set in a list, including foil sets. According to the foil Khans of Tarkir list, the price of a physical set of Khans of Tarkir is $860.34. Redeeming a set alone saves you a whooping $374.35 and that is with the extra $27 for international delivery. The price of collecting a foil copy of each Khans of Tarkir fetchland in real life is $322.81. Let’s say you redeemed a foil Khans of Tarkir set at $485.99 just for the fetches and you sold off all the other foils worth $5 or more according to the MTGPrice.com list for a total of $323.06 (the redeemed set includes high value foil mythics and foil Monastery Swiftspear and Treasure Cruise. Oh and also a foil Dig Through Time which I hear is worth quite a bit). That means you have acquired your foil fetches for a mere $162.93, or just $33 per foil fetch, which is a steal considering that foil Polluted Delta and foil Flooded Strand each costs around $85 and the rest $50. Beat that, eBay. Oh, the redeemed foils are about as near mint as they could be – the redeemed cards come in a factory-sealed box. From my experience, I found that playable foils are generally in high demand and relatively easy to move. You would still be getting your foil fetches much cheaper than market price if you liquidate your foils worth $5 or more at 70% the MTGPrice.com fair trade price, which is already an aggregated price. I hope you readers and fellow foil collectors have found this article informative, and a way to hoard more shimmering trinkets without breaking your bank. Or vault, if you’re a dragon. Previous PostWEEKLY MTGPRICE.COM MOVERS: JAN 12TH/15Next PostMany new features added to MTGPrice.com! But I admit, I actually have 5xFull set foil on MTGO, and I ll try to get between 8 and 12 before the redemption end in a year and half, and I don t see the point of get it know (except the cheapest mythics rare at every moment they seem underevaluated) as the prices of the fetches will probably get higher in the end. Hi grolardo, thanks for reading. You are right, tax is levied on the redeemed set, but its quite minimal, at least for Malaysia (it was RM47, around $13). Wizards declare the value of the redeemed set to be $50 plus the $25 handling fee, making it $75 in declared value. I have yet to try that myself, hopefully my second foil redemption, which is en route now turns out fine. Thanks for all the information , and what about the multiple redeem? Will they declare 50×8 +25 or 75×8 ? I haven’t tried redeeming multiple sets in one go myself, but I’d imagine it would be $75 x 8 as the Redemption Policy states “$25.00 handling per set redeemed”. All the best for your redemption. I am just on my second set of foil redemption and I am looking to do two more. In your previous comment, you mentioned that you are looking to do a few more sets before the redemption period ends. There is another factor to take note: based on the availability of foil mythics of previous sets (THS block, M15), there is a chance that the supply would dry up once the set stops being drafted. The point is , after 3 months of KTK , I got 5 already , so I guess it s possible to have the 8 at the end of the summer. Having not played online that much, I played my free draft and coasted on winnings/rares for 5 drafts and opted to quit for my physical card passion. I finished my play-set of foil khans fetches in paper a few weeks after the set released, however this really catches my interest. Are foil sets really that easy to acquire over time of drafting and what not? Like how do you have 5 foil sets of Khans so quickly after release ?! It’s only been a few months! Great information on redeeming foil MTGO sets! That’s something that I’ve never looked into and it is real cost savings if you decide that you want a ton of foils from recent sets. Thanks Jared! It looks like this is going to be the only way I can assemble my foil playset of fetches without skimping on meals. Are you on Twitter by any chance? I could not seem to find you there. Now with Fetches being present in the land spot in FRF, does that mean you could do the same with FRF and get a nice new foil Ugin to go with your foil Fetches? Unfortunately, I doubt the fetches will be in Fate Reforged redemption as they are not part of the cards in Fate Reforged’s set (as far as collector’s number is concerned). I too wish they are: would be sweet to have my foil Ugin come with foil fetches sandwiched in between. I redeemed 4x foil ktk last november. Here is my experience. First two sets. I started out with the chase Mythics, buying them from humans. That was easy, plus is a big discount compared to buying from bots. Then I tried buying the rest from humans…. it was pretty slow and probably picked up 1 or 2 cards. In the mean time I was shopping between the different bots for availability and prices. Some bots were pricing low, but with also little stock. I had to hunt them down for when they suddenly stocked up. Obviously there were several individuals doing the same. After the mythics I started hunting the expensive rares. BIG mistake. Rares are cheap, and become cheaper. If I had waited I could have safe around 20 to 30 tix per set. At this point I started to realize this would take a lot of time and patience. Here’s the thing: I know I want 4 sets and I’m running out of time, so I better do something fast. I then realized there’s a bot owner who sells the complete sets for 380. I ponder. Goatbots has the mythics and rares for 300, so 380 seems excessive. I continue my search for rares and some uncommons. Here is when I started to realize that uncommons and commons are sold by bots at a hefty price! uh oh. So I go back and check complete sets guy and now he sells at 400 tix. All this while the whole set prices begins to spike, now Goatbots has the M/R at 360. I’m tempted to buy the two sets, but don’t want to risk it. So I just buy 1 set off him. Mean while I continue trying to complete my 2 incomplete ones. After some back and forth between dozens of bots, I pull the trigger and buy a bunch from Goatbots. I thought I was getting close, but… where are the basic lands? It turns out, basic lands are super rare. And expensive. So I start hunting again. Some bots have same random cheap foil basic, but they don’t have anything else, so I just leave my credit with them because other bots price them over 2 or 3 tix. At this point I go back to complete sets guy, and he’s sold out… for now. A week later he sells the sets for 420, I snap buy. I sat for weeks trying to complete the rest of the collections. But definitely learned the lesson: buy the complete set, because time is money, and with my time I paid more for the sets I completed myself, at a cheaper price, than those I bought from the bot owner. Thanks for sharing your experience! Our experiences as first time redeemers have so much in parallel. I too was shocked by the price of foil commons/uncommons when I redeemed my first set. My calculations for profitability were blown out of the water when I had to pay $2 for a foil basic land, and there were 20 of them! I too got burned by the spike in Mythics and Rare prices when KTK redemption started to become available a month after KTK went live on Magic Online. I was watching the prices fluctuate on Goatbots on a daily basis while procrastinating about sinking in the money for a full set and suddenly, on the week redemption became available, the total price for the foil set shot up by 80 tix overnight! I was so sore about not buying the foil set when it was $320. Lesson learned, assemble my foils a week or two before redemption. Or a few weeks after. 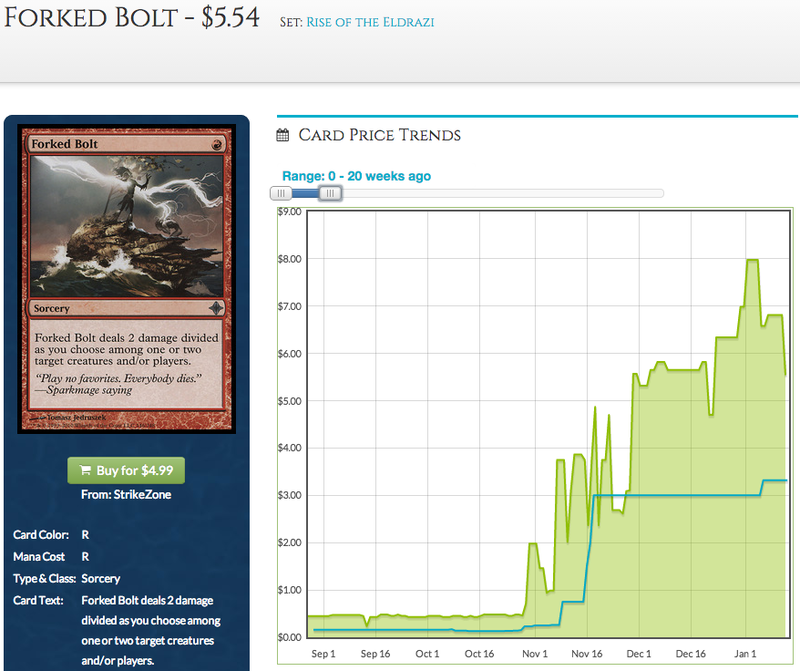 KTK foil mythics and rares have been stable at $344 for a while now. I’ve just redeemed my second set last week. There are definitely a lot of good pointers from your comment for anyone looking to get a good idea on how a redemption process is like.